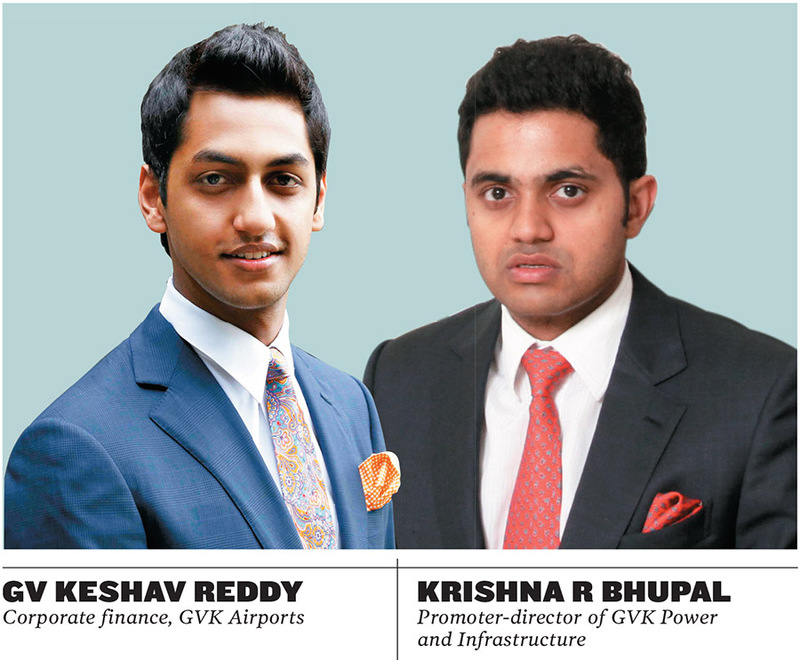 It’s the rise of the third generation at GVK Power and Infrastructure. Founder GVK Reddy’s two grandchildren, Krishna R Bhupal, 34, and GV Keshav Reddy, 24, have been entrusted with key roles at the infrastructure conglomerate that has business interests spanning the energy, airport, road, hospitality and life sciences sectors. Bhupal, who is the son of Shalini Bhupal, GVK Reddy’s daughter, holds a finance and accounting degree from Villanova University, Philadelphia. He joined the group in 2007, and is presently the promoter-director of GVK Power and Infrastructure. He is credited with having successfully completed and commissioned the group’s 330 MW hydro power project in Uttarakhand and the 540 MW thermal power project in Goindwal Sahib, Punjab. Keshav Reddy, who is Sanjay Reddy’s son, is a more recent entrant into the family business, having joined the group’s airports division, GVK Airports, in 2014. Reddy, a graduate in industrial and operations engineering from the University of Michigan, US, has been involved in corporate finance and business development. He was part of the team that successfully bid for the `16,000-crore Navi Mumbai International Airport project earlier this year and also helped in GVK’s exit from the Kempegowda International Airport Bengaluru (KIAB). In the last 15 months, GVK sold, in two tranches, its entire 43 percent stake in KIAB to Canadian investor Fairfax for about Rs 3,450 crore. “The projects that I am currently working on are of high value for the company and its sustainability,” Reddy tells Forbes India. RK Jain, CEO of the GVK-owned Mumbai International Airport and a 10-year company veteran, believes that Keshav’s involvement in the company’s exit from the Bengaluru airport, “was a very good initiation for him to constructively contribute in the negotiations and the concurrent back office work involving the legal and financial teams”.